In March 2017, the Victoria Public Library on Grand Turk suffered a devastating fire. This project hopes to replenish the books and other materials for the 4,000 residents of the islands who use the library. 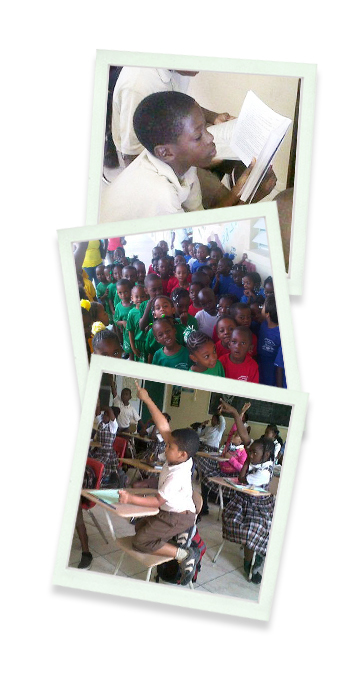 The Eliza Simon’s Primary School is one of two government schools on the island of Grand Turk. It was established in 1970 and throughout the years has been successful at developing the physical, psychological, and interpersonal skills of students from the ages of 4 through 11 years old. The Eliza Simon’s School currently accommodates 243 students whom we are eager to mold into model citizens.